Microwave the palm shortening in a very large microwave safe bowl until melted. Add butter flavoring and mix. Add marshmallows and microwave for 2 minutes. Stir. Add the cereal and stir until well mixed. Press into a greased 9 x 13 pan with greased hands. When cool cut into squares. ENJOY! You CAN have a treat that tastes just like the original recipe! This recipe is based on one of the easiest- yet most universally loved- treat among kids and adults alike. 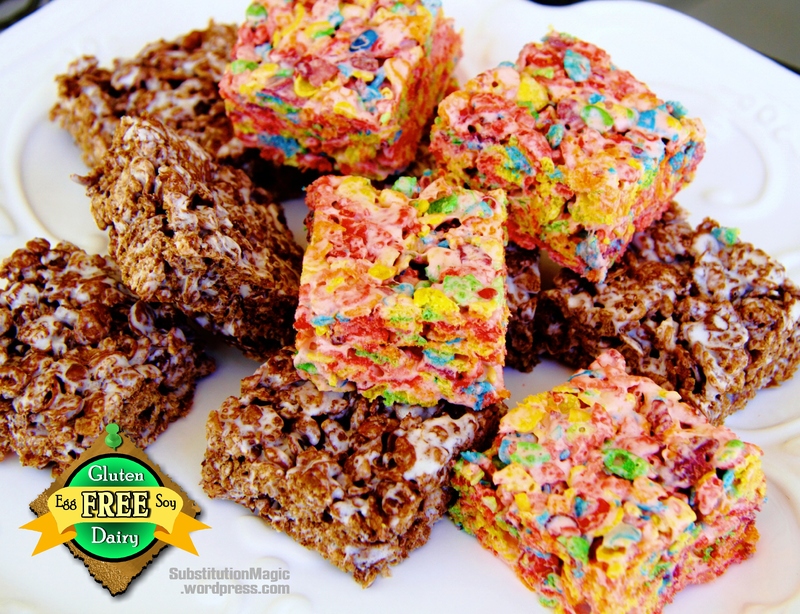 Now that Kellogg’s has come out with a gluten-free version of their Rice Krispies cereal you won’t be able to tell the difference from the original gluten/dairy version and this recipe. 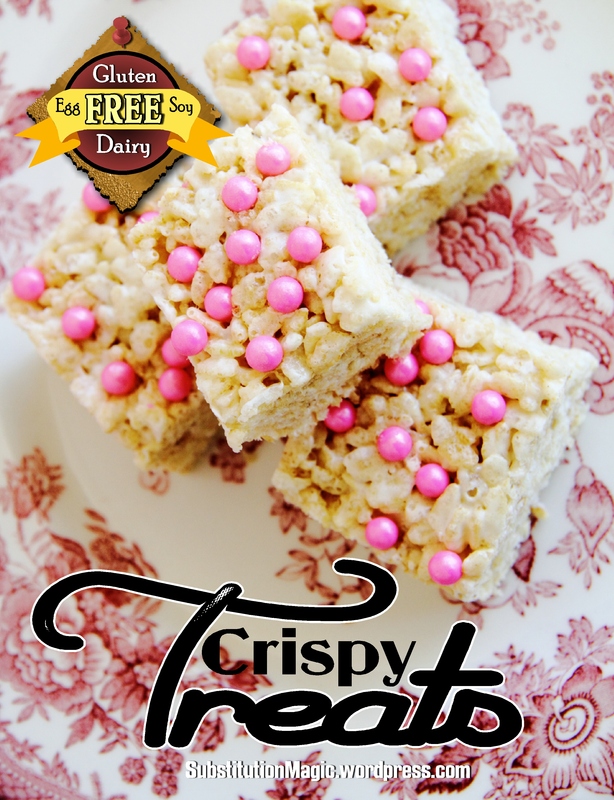 I did get “brand-specific” in this recipe for a few reasons: Most of the gluten-free crispy rice cereals are fairly tasty, but not quite the same texture as the brand name Rice Krispies. 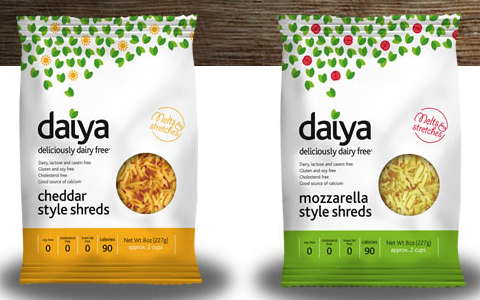 Make sure you get the brown box that says it’s gluten-free. The original Rice Krispies cereal in the blue box has malt in it. The reason for the Kraft marshmallows is two-fold: The Kraft brand specifies that their marshmallows are gluten-free (most marshmallows are) but also the Kraft marshmallows seem to be puffier and melt better in this recipe. The palm shortening can be any brand (I just found it easier to find the Spectrum brand in the stores. 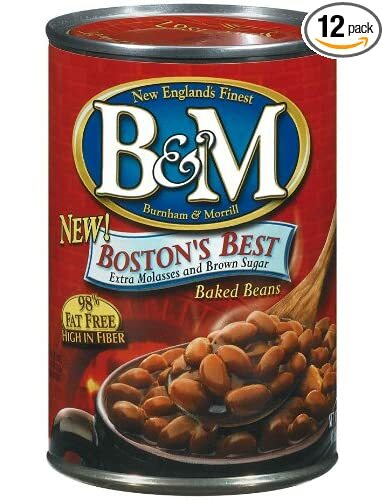 Health Food stores and some large grocery stores carry this item). Palm shortening is a great non-dairy substitute for butter or shortening in most recipes. In this recipe I added a half teaspoon of the imitation butter flavoring which gives the palm shortening that buttery flavor that is missing from not being able to use real butter. The McCormick brand of imitation butter flavor has “A gluten-free food” written right on the box. (You can find the imitation butter flavor along side the imitation vanilla extracts and other extracts in the baking aisle at the grocery store). I use this butter flavoring quite often in other recipes. 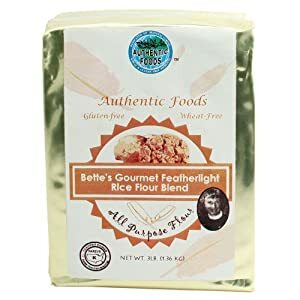 I like to mix it with the dairy/soy free Earth Balance margarine to give it more of a buttery “kick” on baked potatoes, mashed potatoes or popcorn. You may be wondering what is “one and 1/4 packages of marshmallows”? One package of Kraft large marshmallows is about 40 marshmallows. I used about 50 marshmallows in this recipe-a whole package plus a handful of 10 more large marshmallows. With the smaller boxes of cereal such as in the variations- Post Fruity Pebbles and Post Cocoa Pebbles- you only need one package of marshmallows (everything else is the same). There are so many variations with this treat. One of my favorites is to melt Enjoy Life (gluten, dairy, soy free) mini chocolate chips and spread on top of the regular or chocolate crispy treats. This treat is so scrumptious that no one will know that they are gluten, dairy, soy, nut & yeast free (unless you tell them)!